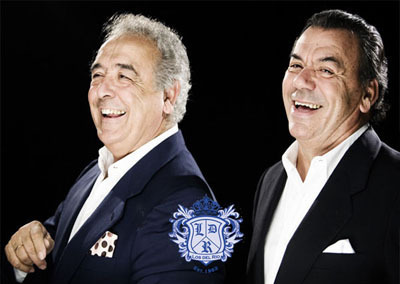 Los Del Río are a Spanish Pop and dance duo who formed in 1992. They are best known for their smash-hit dance single “Macarena”, originally released in early 1994. The song went on to become a worldwide success. The single “Tengo, Tengo” was released on February 18, 1996, and appeared later that year on the album Fiesta Macarena. 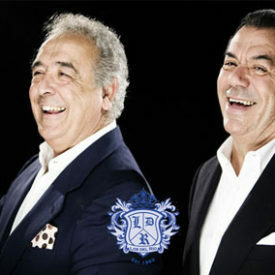 The group ultimately released six albums: A Mi Me Gusta, Macarena Non Stop, Fiesta Macarena, Colores, Rio y Guestano and Alegria y Cosabuena. Five of the albums featured versions of “Macarena”, in different styles and remixes. Los Del Rio collaborated with Bahama pop rap group Baha Men on the 1997 single “Car Loca Rosa”, which featured the group and hip hop musician MC Hammer.